Thinking about adopting a cat? Ensure it’s a success with these tips! In spite of their reputation for being solitary animals, cats are actually very social creatures who enjoy the company of other cats and sometimes even dogs. 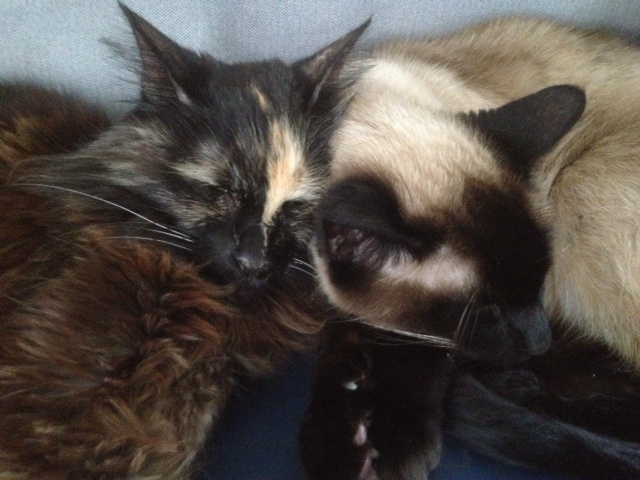 Many behavior problems exhibited in single-cat households can be resolved by bringing home a friend for the existing cat. When you feel it is time to add another cat to your household — or if a stray decides to adopt you — here are some tips to help you make the best decisions. Wiccas (left, daughter), Asia (center, mother) & Simon (right, son). Cats are a social species, but unlike humans, they do not rely on social contact for survival. They are solitary hunters but live in groups and are as social as is appropriate for them. 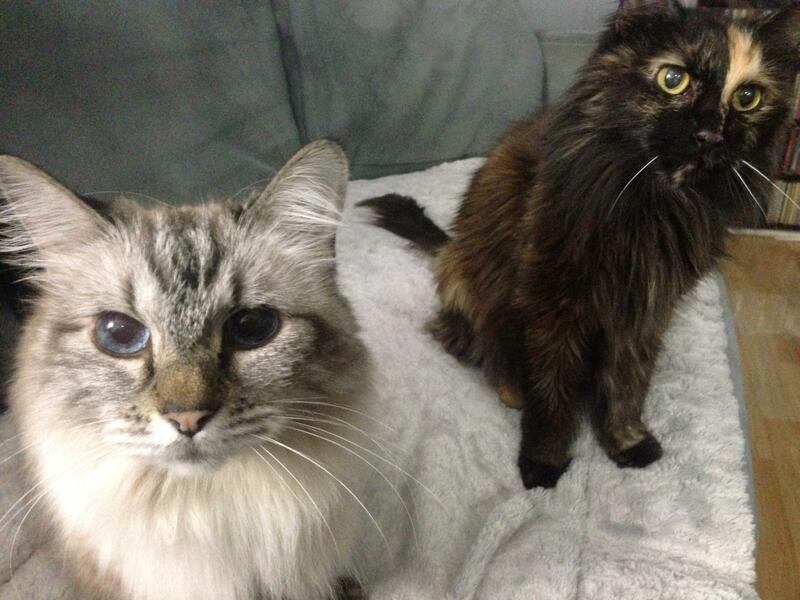 For cats, being related is often more important than simply being familiar with another cat. We do cats a disservice by breaking up litters and families and should make a distinct effort to adopt sibling pairs, mothers with kittens, etc. Cats — especially kittens — should be adopted in pairs. It is easier and less stressful for all involved. Changes of environment and the introduction of newcomers are the most stressful experiences cats can endure. 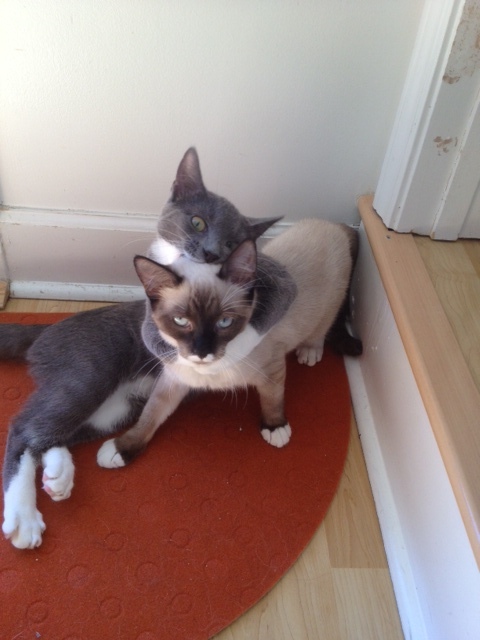 When two cats are adopted together, they can help each other cope with the changes. Adopting more than one cat also means that the humans do not have to provide all entertainment because the cats will have each other. These kittens have each other to help them cope with the stress of a new home, the loss of their mother & litter mates and a buddy to help them adjust to a scary human world. Wrestle companions & socialized to their own species. Kittens raised in pairs are more socially normal, more easily introduced to other cats and generally less aggressive towards humans (do not attack hands etc, unless taught to do so). Often, having more than one cat also results in a reduction in destructive behavior. The cats can play rough and tumble with each other, so they spend less time getting into kitchen cabinets or destroying toilet paper. Not to say those things won’t happen — especially with kittens — but they will happen less often than they would with a single kitten who is bored. 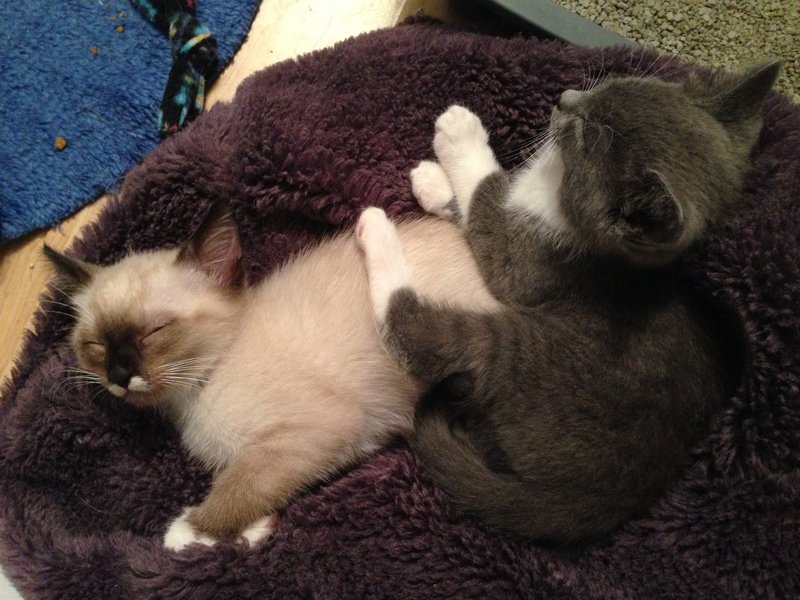 Kittens adopted together also have an appropriate playmate to teach them the ropes, so they are less likely to exhibit aggressive behaviors such as biting human hands and feet (unless this is encouraged and taught). Human hands should be reserved for affection. Hunting blows can be practiced on each other or on appropriate toys. No human or dog can teach a cat, “Hey, you just bit too hard. The game is over now.” That is called “bite inhibition,” and only cats can teach other cats this lesson. Cats learn the majority of their social skills by the time they are nine to 12 weeks of age. During those early weeks, they learn fear, aggression, and basically how to speak cat. If they miss this key window of time with other cats — say, in the case of a bottle-raised kitten or the impulse adoption of a single kitten taken from its littermates at four weeks old — they may not know what to do with their own species as adults. Poorly socialized cats have “Tarzan Syndrome.” For comparison, imagine raising a child alone in a room, interacting only by passing a food tray under the door, and then sending that kid to college at age 18. Problems would result.) Most cats with Tarzan Syndrome are aggressive toward other cats. They will defend themselves from the cat you are trying to introduce because they never learned to interact with their own species. They instinctively tell the new cat to back off or else! If you insist on adopting only one cat, we strongly encourage you to adopt an adult cat who was raised as an only cat and has no interest in living with other cats. 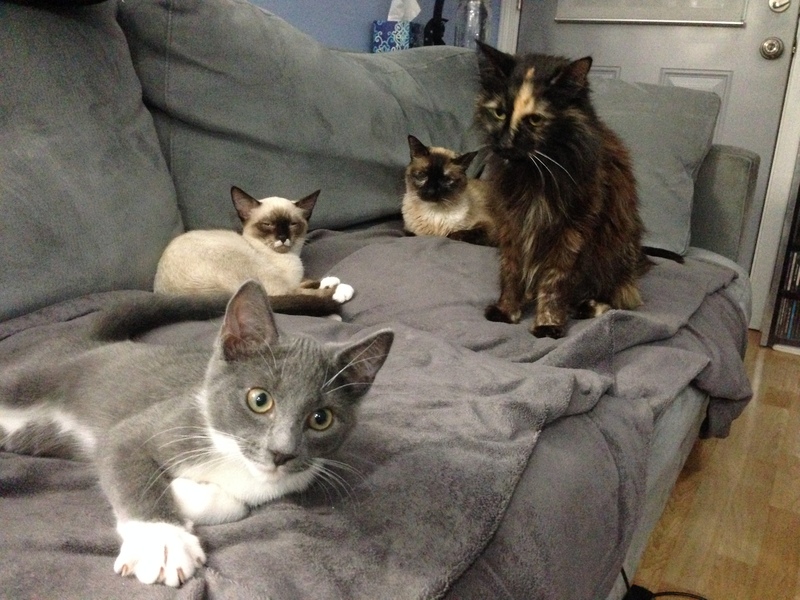 These cats can be extremely difficult to adopt out because so many families have multi-cat households. It is also common for a person to think they want just one cat then realize how amazing cats are and decide to adopt another after a few years. This rarely goes well. In this scenario, it is often best to adopt a pair of kittens. The existing cat may find them less threatening, and if the kittens do end up being rejected, they will still grow up with each other so that they can learn proper social skills, how to play and spar with other cats, etc. This also ensures that the person does not raise yet another poorly socialized only-child cat. We need to break this cycle! When adding a new cat to a home with existing adult cats, there are several factors to consider. We humans tend to make selfish decisions without thinking of the repercussions, and adopting pets is no exception. It is important to try to maximize compatibility. If, for example, you have a 15-year-old cat, you should not adopt a single 6-week-old kitten. Nothing could be worse! That kitten will get bigger and want to play and roughhouse. An arthritic, geriatric cat is not an evenly matched playmate. Over time, the kitten will get more and more frustrated and before you know it, there will be a full-on aggression problem. The older cat will run away, which simply evokes the kitten’s prey drive, making it seem like a game. After all, when caught, the senior kitty probably struggles and screams just like real prey. Many people have seen a puppy perk up a senior dog and give them new life, but cats are not dogs and this is not the case with this species. In fact, it’s just the opposite; the stress of a new kitten can affect a senior’s quality of life to the extent that we can lose them prematurely to medical problems and disease. 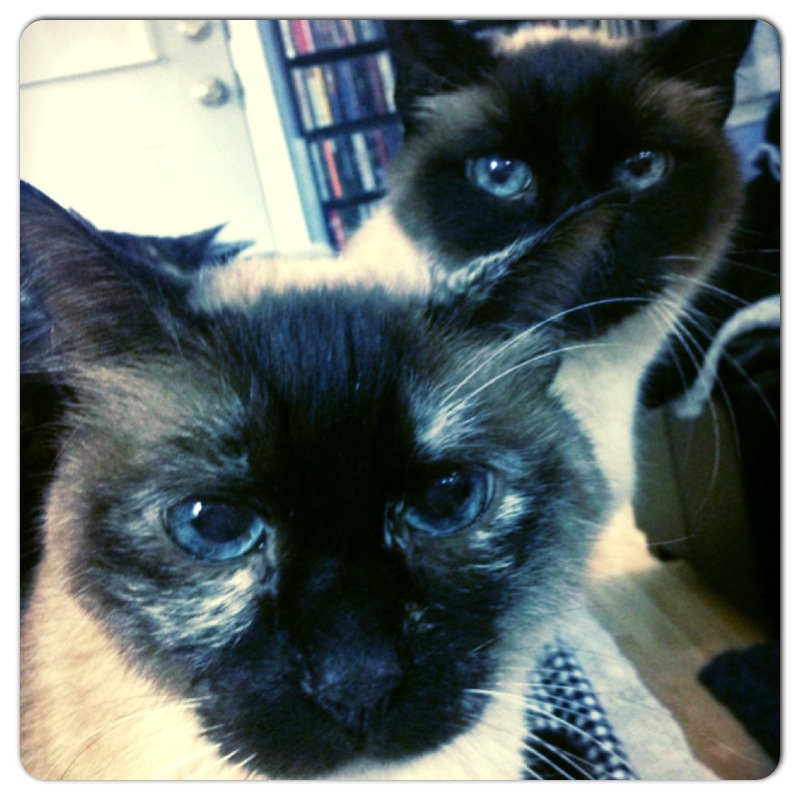 If you have a household of healthy adult cats, the world is your oyster — within the realm of compatibility, of course. The key is to adopt cats of similar activity levels and then to introduce them slowly and positively. A few additional facts to keep in mind: Many male cats like to engage in adolescent play behaviors well into their teens. Females, on the other hand, become much less interested in physical play once they reach social maturity at about two years of age. They still hunt and engage with toys (solo object play) but are not as interested in wrestling, though there are exceptions. 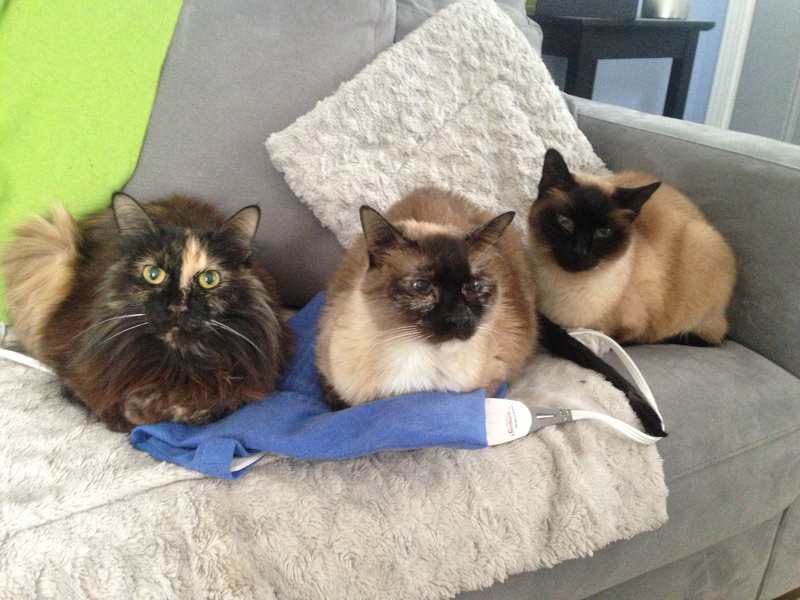 Cats’ social structure is largely matriarchal, meaning that a female often rules the roost. If you end up with a house full of females, you may have a lot of vying for top-cat position. If you have a cat with a very assertive personality, it may be best to introduce an easy-going, well-socialized male who gets along with everyone. Just remember: Adoption is a lifetime commitment and cats can live well into their late teens and even into their twenties. Be committed to making it work and seek advice from your veterinarian and/or local behaviorist if you experience challenges integrating a newcomer. Sister and brother, adopt related cats if you can. 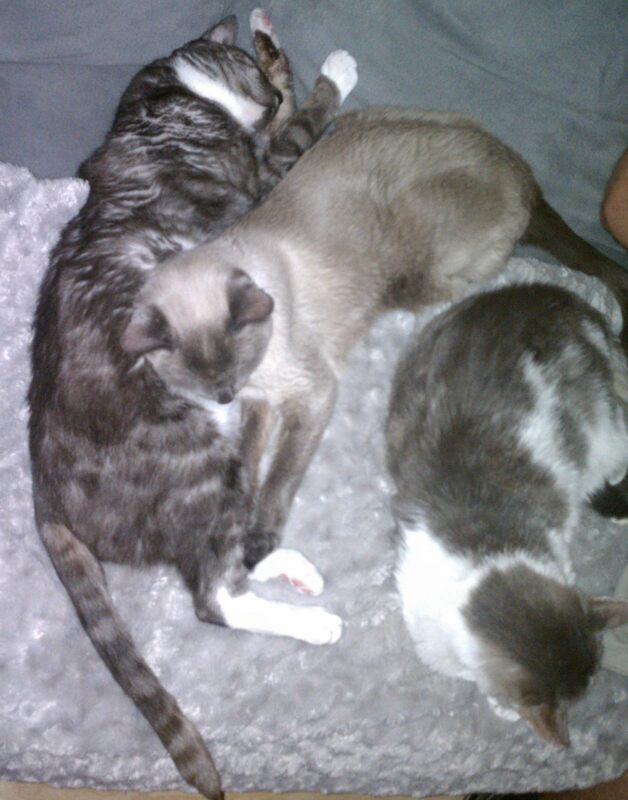 Unrelated males in a three-way cuddlefest. Sisters, best friends for life.